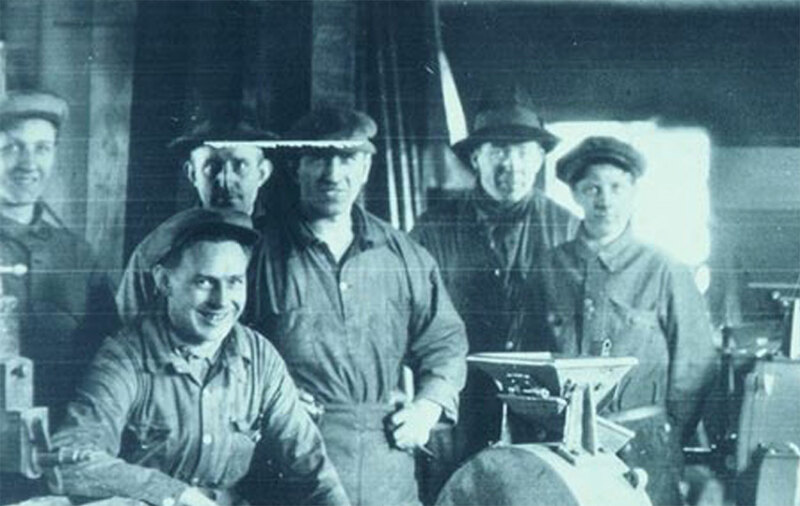 The company, Bröderna Larsson i Arentorp AB, was founded in 1914 by brothers Nils and Gustav Larsson. During the first few years, they only produced threshing machines, which were called Skandia Tröskverken, and their customers were mainly neighbouring farmers. 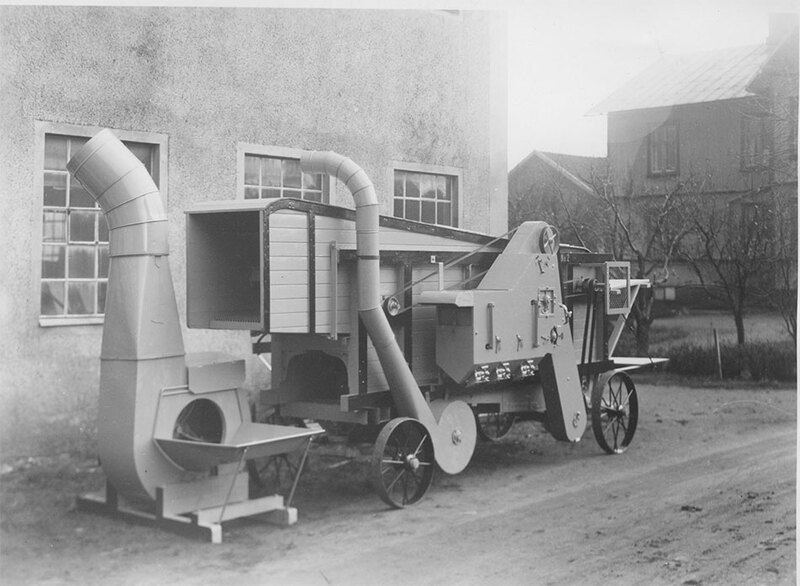 In the 1920s, the first self-cleaning threshing machine was developed, reaping great success for the Larsson brothers. The demand for Skandia’s threshing machines increased with time and, in 1945, a new product was added to the range, namely a manure spreader. In 1961, Nils’ son, Anders Larsson, and Gustav’s five children took over the business. By the following year, they had already produced the very first elevator, which was made entirely from timber. The company spent the 1960s and early 1970s developing a broad range of products which included both elevators and complete drying systems. In 1975, a decision was made to concentrate production on conveying equipment only. In the same year, the company also began to export products outside of Sweden’s borders. 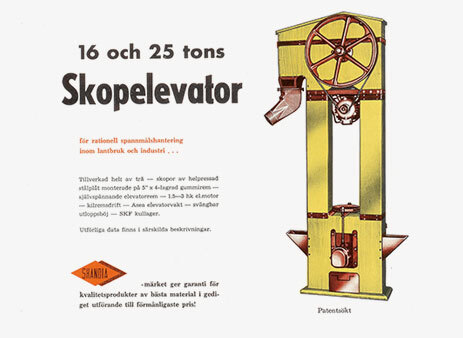 In 1979, Skandia Elevator was one of the first companies to begin manufacturing elevators and conveyors in galvanised sheet metal. Something that proved to be an important success factor for the company. During the 1980s and 1990s, there was great focus on new export markets and an emphasis on product development. The range was supplemented with curved and inclined conveyors, making the company even more competitive. Anders Larsson took over as the sole owner of the company in 1989, and his strong leadership laid the foundation for the company Skandia Elevator is today. 1999 saw the formulation of the objective of becoming Europe’s leading manufacturer of conveying systems for the grain industry within fifteen years. The entire company worked together towards this objective throughout the first decade of the new millennium. And in 2010, Skandia Elevator did indeed become Europe’s leading manufacturer of conveying systems for the grain industry. We are extremely proud of this position and will do our utmost to retain it.